Every home needs adequate insulation for comfort and energy efficiency. If you want your home to be warmer in winter and cooler in the summer, you have to insulate it from the roof to the foundation. By isolating the environment inside your house, insulation not only regulates temperature, it also controls moisture that can cause mold, and it saves energy. The Department of Energy recommends insulating the attic, walls, floors and even the windows, doors, ducts and foundation. Even a house made of a naturally insulating material such s brick needs extra insulation to prevent drafts and moisture buildup. Homeowners can choose from a variety of insulating materials that, most of which require professional installation. The best time to insulate is during construction or remodeling, but it is possible to add insulation to existing structures. Every little bit helps to increase the overall R-value and make a home warmer and more energy-efficient. The optimum R-value for your home depends on the climatic zone in which you live. The R-value of an insulating material is a measure of the degree of thermal protection it offers. The "R" refers to thermal resistance, and the higher the number, the better the material insulates. Other than expense, there a few downsides to over-insulating by using a material with a higher R-value than is necessary, but under-insulating is a more obvious problem. 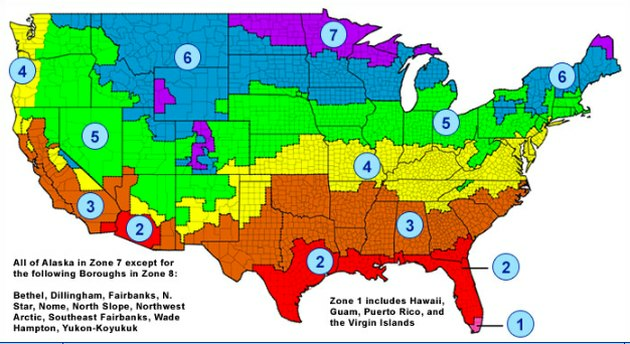 The optimal R-value for your home depends on where you live, and the Department of Energy publishes recommendations for each zone on the Energy Star website. For example, when adding insulation to a wood-framed house in Miami, you should shoot for R13 in the floor and R30 to R49 in the attic. If you live in Michigan, on the other hand, you need R25 to R30 in the floor and R49 to R60 in the attic. R-values for insulating materials range from 3.1 per inch of thickness for fiberglass batts to 6.5 per inch for closed-cell spray foam. The wall thickness puts a limit how much lightweight insulator, such as fiberglass, you can install, so sometimes the better option is to go with a denser material. If you're adding insulation to an existing structure, there are ways to improve the insulating value of the walls without removing the wall surfaces. Blown cellulose has an R-value midway between fiberglass and foam, and you can install it without removing your drywall. Air is a thermal insulator, and most materials are designed to make use of this fact by trapping air within the materials. 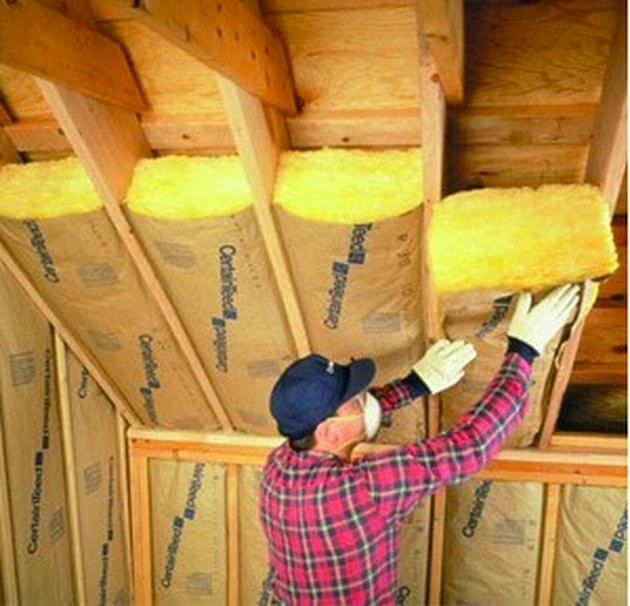 Insulation made from fiberglass fibers woven into batts is one of the most popular and inexpensive forms of insulation, but is fairly lightweight and offers a lower R-value than some other types. Other materials, such as cellulose and mineral wool, are denser and thus offer better R-value, but they add more weight to the walls and ceiling. Rigid and spray foam are the best insulators, and they too are porous and gain their insulating value through trapped air. Foams are not as heavy as mineral wool and cellulose, but they insulate better. credit: Gold Star Insulation, I.P. Fiberglass batts fit between standard spaced studs and rafters. When thinking of insulation, most people get an image of a fiberglass batt. This type of insulation comes either unfaced or faced—covered on one side with kraft paper or a reflective coating. The batts come in compressed packages with the R-value clearly marked on the front. The batts are sized to fit the spaces between framing members and in thicknesses ranging from 3.5 inches for standard wall cavities to 12 inches when laid down in an attic as an insulating blanket. Pros and cons. This is one insulation material that you can install yourself, making it one of the more economical choices. Fiberglass fibers released into the environment do cause some irritation, but unlike asbestos insulation, which is no longer available, fiberglass isn't dangerous. 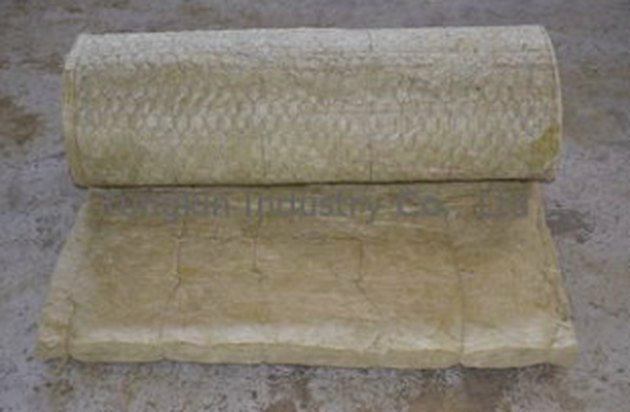 Asbestos fibers can become permanently lodged in the lungs, but fiberglass fibers break down, and the body expels them. Still, you should wear breathing protection and protective clothing when installing fiberglass batt insulation. When properly installed, faced batts provide a moisture barrier to prevent condensation from forming on walls and ceilings. Installing a separate moisture barrier is usually recommended when installing unfaced batts. Installation. 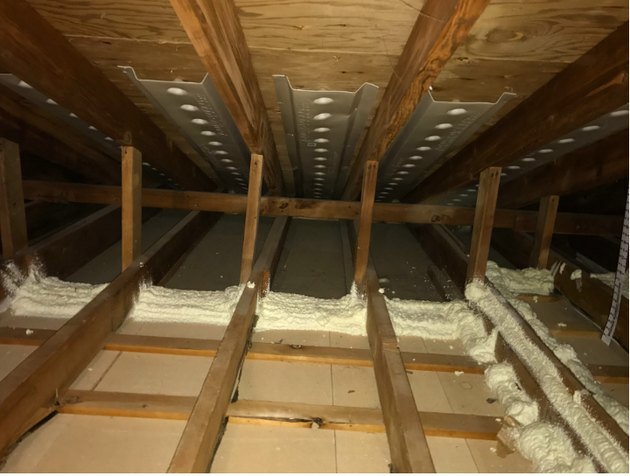 Walls have to be uncovered before you can install fiberglass batts, but when using them in the attic, you can simply lay them on the ceiling drywall between joists, or even as a blanket across the tops of joists. The batts are sized to fit snugly between studs or rafters spaced 16 or 24 inches apart. You simply insert the batt with the facing toward the room and staple the edges of the facing paper to the studs. Use wires, strings or a layer of plastic sheeting to secure unfaced batts between framing members. Rock wool, also called mineral wool, is made from naturally occurring minerals. Pros and cons. Rock wool is a pH-neutral material and does not support mold growth, so it's a good choice for basements and other moist locations. It's also more fire- and heat-resistant than fiberglass and is often used around furnaces and other heating equipment. Installation. The batts fit snugly in standard framing bays and are rigid enough to stay in place by themselves. You can cut notches for electrical boxes and other obstructions with a keyhole saw. Although it requires special equipment, homeowners can blow insulation themselves. You can purchase loose-fill insulation made from fiberglass or polystyrene pellets, but cellulose and mineral wool are more common ingredients. Loose-fill may be derived from old newspapers or recycled cotton, or it may be new material. The material settles into cavities between wall studs or attic joists, and, depending on the thickness, it can provide thermal protection up to R60. Pros and cons. Loose-fill is easy to install, especially in attics, and is a practical choice when adding insulation to existing walls. Cellulose derived from recycled materials is a green building product, and it's treated with a fire retardant to give it good fire resistance. Its drawbacks are that it tends to settle and clump, especially if it gets wet, and it can provide a nesting material for rodents. Installation. You need a blower to install loose fill into finished walls, and if you're doing it yourself, you can usually rent the blower when you buy the insulation. 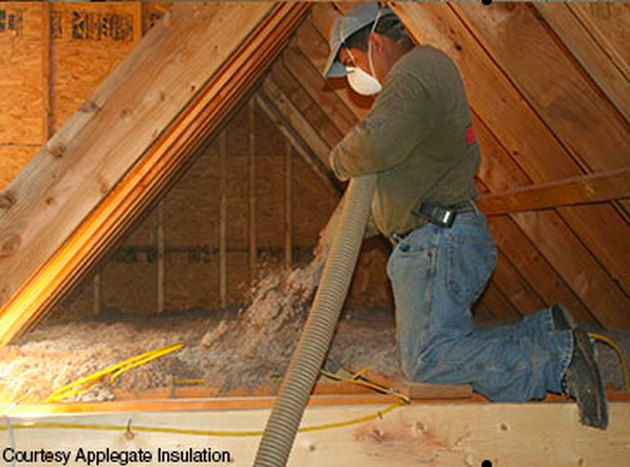 Blowing in an attic is easy—just install a moisture barrier and fire away. To blow it into walls, you usually have to cut holes for the blower nozzle, then patch the holes after the job is done. 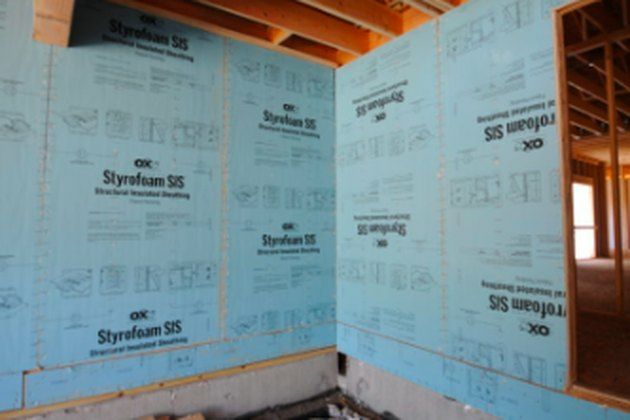 Rigid foam is a great insulating material for basements, floors and exterior walls. Made of polystyrene, polyisocyanurate (polyiso), or polyurethane, rigid foam panels are usually coated with reflective foil, and can provide R-values up to R-120. It comes in 4-by-8 sheets in thicknesses from 1/2 inch to 6 inches or more. You can install sheets on top of each other to increase the insulation value. Pros and cons. This type of insulation provides twice the thermal protection of any other type, and is perfect for basements and other moist locations. Panels can be cut and fit to fit unique spaces, but it can leave gaps that produce drafts. Installation. You can glue or nail rigid foam directly to wall studs or a smooth surface, such as a concrete or brick wall. You can also cut the boards with a handsaw to fit inside framing bays. The boards are rigid, so they stay in place if they are cut to fit snugly. One way to use spray foam is to seal gaps before installing another type of insulation. Spray foam can work as either as a gap filler or as a standalone product. When used by itself as a complete insulating solution, it can provide almost as much thermal protection as rigid foam. Spray foam comes in two types: open-celled and close-celled. The latter is denser and provides more thermal protection. Pros and cons. 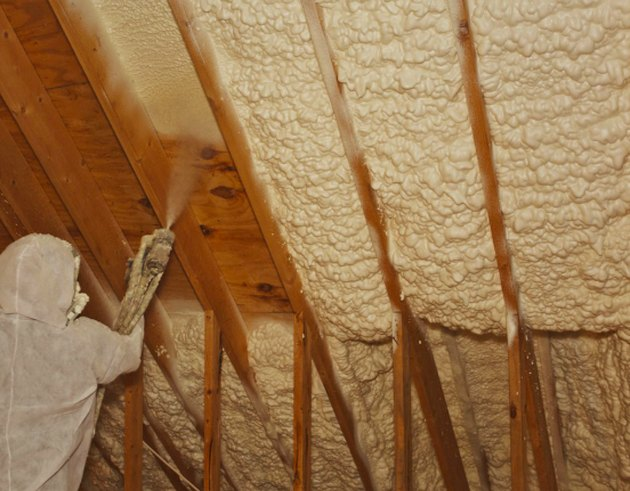 If you choose spray foam for whole-house insulation, you absolutely need professional installation. If you install it in walls, the job has to be done before the walls are covered. Once it hardens and cures, spray foam is inert and non-flammable. There are no fumes or airborne fibers to worry about. Installation. Spray foam comes as a sprayable liquid that sticks to everything permanently. It expands as soon as you spray it, and it takes skill and experience to spread just the right amount to get the desired R-value. If you can buy spray foam in aerosol cans for sealing gaps, the same considerations apply. Wear discardable clothing and eyewear when using spray foam. You can no longer purchase asbestos insulation, but if you live in an older house, your existing insulation may contain it. Vermiculite insulation was common in the 1960s, and this product may contain asbestos. If you suspect you have asbestos insulation in your attic or walls, and some of it is exposed, it's important to test for it. Unless asbestos insulation can be sealed off entirely, it should be professionally removed and replaced as soon as possible.